StarCraft 2 received a moment in the spotlight today at TwitchCon. More playable heroes for the upcoming co-op Allied Commanders mode were revealed including the Hyperion’s chief engineer Rory Swann, Protoss matriarch Vorazun, and Zerg broodmother Zagara, a character familiar to both StarCraft and Heroes of the Storm players. In addition to discussion of Allied Commanders, the StarCraft animated short Reclamation was released today. 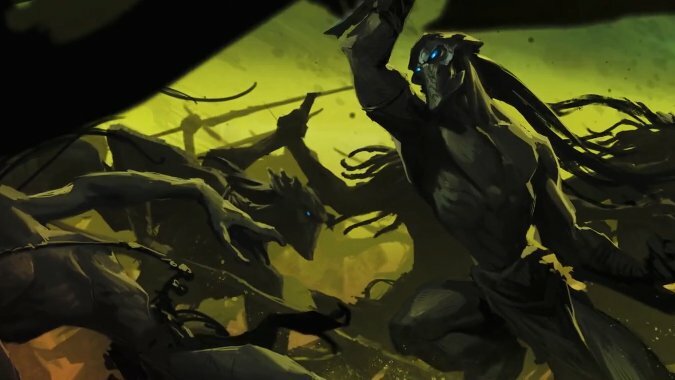 Reclamation is a short in the same style as Warlords of Draenor’s Lords of War shorts and explores both origin of the Protoss and their mindset leading up to the events of Legacy of the Void in brief. You can watch Reclamation below.